House extensions are a popular type of home improvement in the UK as they can transform the size and look of a property. Creating more space is always at the centre of any design project and here at Lite Haus UK we know the importance of utilising the space you have. 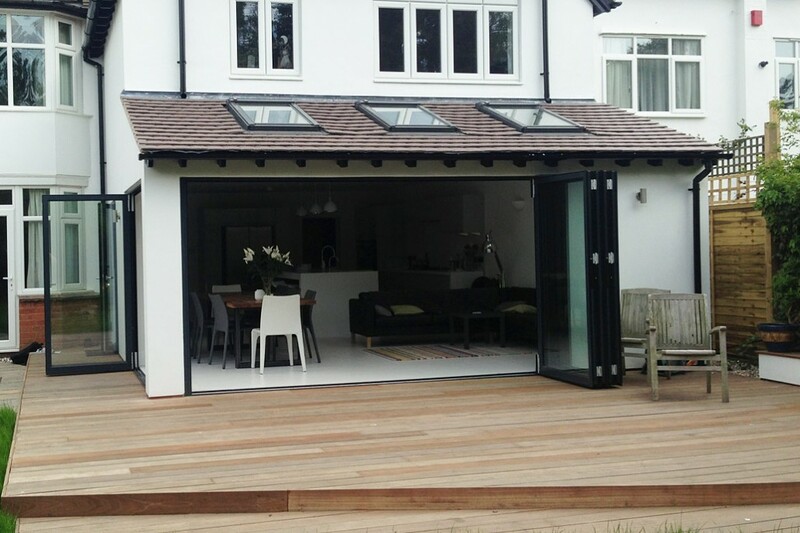 We have installed our Schuco Bi-Fold Doors at many properties around the West Midlands bringing the perfect finishing touch to a home’s new look. But a home extension is a project that needs to be taken on with care, so let’s take a look into why extensions are so popular and areas that you should consider. What are the benefits on an extension? Property extensions can generate more space. Extensions are a popular choice for families who need more space and don’t want to move house. Building an extra room or expanding the kitchen or living room is a smart solution that gives you control of designing the space you need. Extensions are a savvy investment. The additional space will increase your home’s square footage which should in turn increase your properties value. Even more, you could save money in the long run with this type of investment compared to the costs of moving house. Extensions let more natural light into your home. Large windows and sliding doors are the perfect companion for extensions as they maximise natural light. A wide design opens up the view to the exterior surroundings helping to increase the illusion of space. Contemporary bi-folding designs can be folded away completely to remove the wall that separates your home from your garden allowing you to extend the living space of your home. Read more about the Benefits of Bi-fold Doors. What’s your budget? Taking on an extension project is a big commitment and you will need to be prepared going into it. Sticking to a budget is vital and there are other costs to consider than just the size of your extension. Any finishing touches such as flooring, doors and windows need to be accounted for, as well as the cost of any contractors who will be involved in the construction or planning. Do you need planning permission? It’s imperative that you check whether you require planning permission to build on your home. The size, height and location are areas that could be regulated and how your build might affect your neighbour’s property needs to be considered. What building materials should you use? This is an important consideration for design – will your extension incorporate the design of the rest of your home or do you want a complete contrast? Glass is an easy choice for most properties and is a popular design for many extension projects. Bi-fold doors are cool glass features that include thermal insulation and there is the option of installing solar control glass with Lite Haus bi-fold doors which can control the temperature of your room throughout the year. Do you need an expert? If you’re investing in an extension then you need to make sure you get it right, so consulting with an architect is a sure way to get the result you want. They can provide you with expert knowledge and create a detailed plan of what is and is not possible for your property. But architects will obviously come at a cost so make sure this is factored into your budget. Why choose Lite Haus Bi-Fold Doors? Our Schuco Bi-Fold doors are the highest quality and unrivalled with appearance and functionality. You can create the doors that suit the design of your extension with a wide range of colours and the option of more than 16 panels for each door. Furthermore, the door movements can be inward or outward to optimise your space. To get an online quote, contact us here.